We did it: January farmers’ markets are in the bag for the first time in 44 years! Thank you to everyone who has come out to the farmers’ market this winter – vendors and customers alike – to support our transition to year-round! With February underway and the depths of winter truly upon us, we need your support more than ever. If you want to see year-round farmers’ markets survive and thrive, now is the time to show us some love! Let’s keep showing RFM vendors that we want them to keep bringing their Saskatchewan bounty to us all year long. Our most committed producers drive from all across the province to bring us their best every week, and every customer through the door makes a huge difference! If you haven’t joined us at a Winter Indoor Farmers’ Market yet, or if you have and are wondering whether it’s worth it to brave the cold again, please come back! 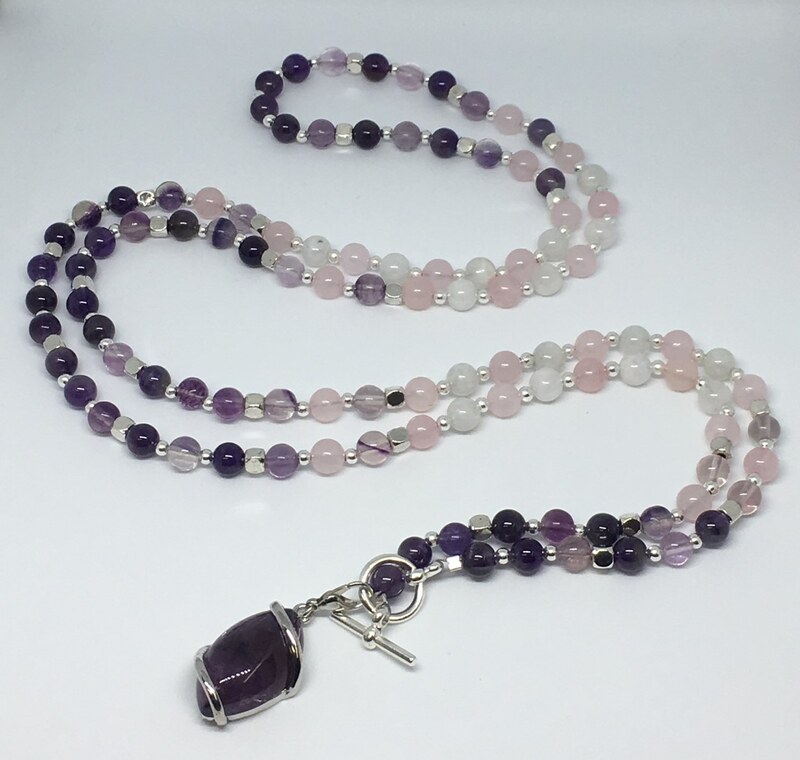 Every single sale made and conversation had makes a huge impact on our vendors, who are all small and independent businesses growing and making their products right here at home. What do we have in store for you on February 2nd? It's darn cold, but the calendar and light in the sky tells us that we're already half way through winter. YOU CAN DO THIS! And we can help. 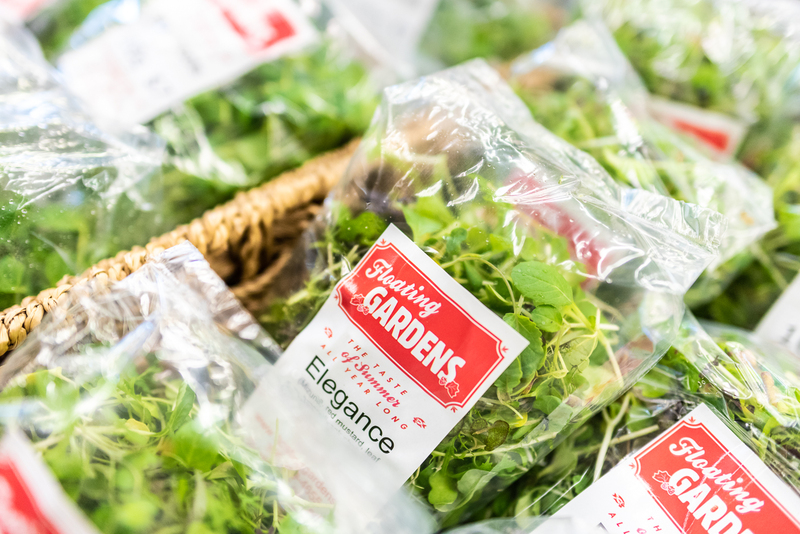 • Find freshly-grown SK lettuce, microgreens, herbs, and cucumbers from Floating Gardens (pictured above). There is NO comparing the flavour of these beautiful green things to what you can find in the grocery store at this time of year. Chris, Rachel and their team are going to great lengths to keep the fresh veg coming to Regina from Osler, SK each week. Let's go for zero food waste and help them sell out this week! • Rocky Acres Orchard will have carrots, potatoes, beets... and frozen Saskatoons(!!!) on hand this weekend. It may not be possible grow to this stuff in Saskatchewan in February, but Perry and Ledeen do the hard work of storing it for us so that it can keep coming to market all winter long! Tomorrow we welcome Good Morning Springrolls (pictured here) to their first-ever Regina Farmers’ Market. 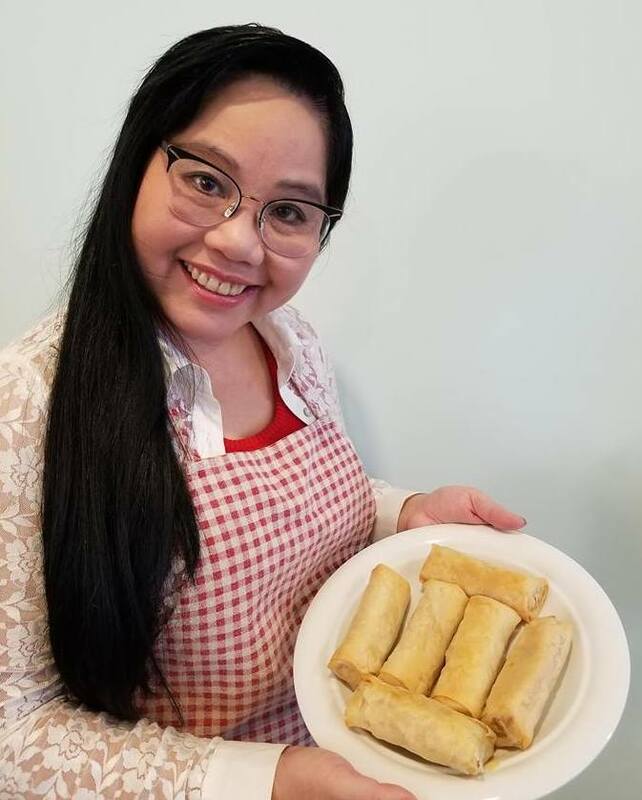 Lydia and Ponziano are the husband and wife team behind Good Morning Springrolls, and they'll be bringing RFM customers tasty vegetarian spring rolls (sold frozen) starting this weekend! Be sure to pop by to offer them a warm RFM welcome, try out their products, and let them (and us) know what you think. Follow Good Morning Springrolls on Facebook! • Crave Kombucha – if you’ve never checked Crave out, don’t be shy to try a sample! 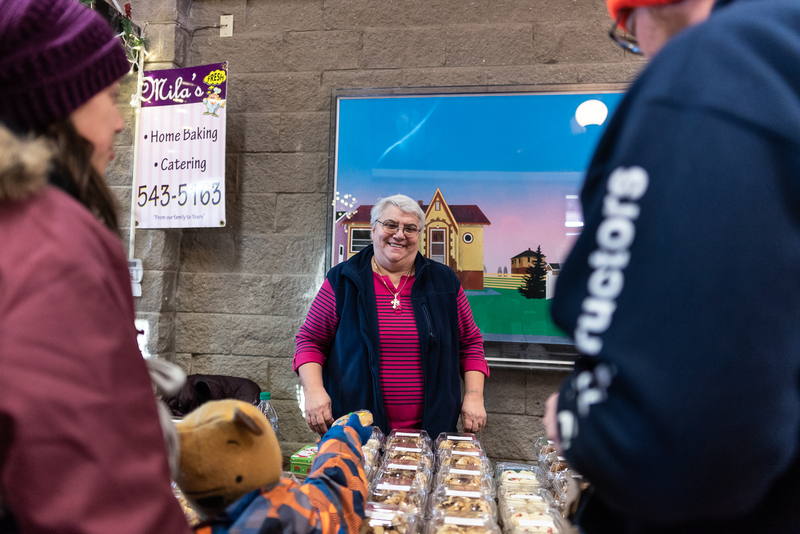 • Mila’s – it’s always so strange when Mila (pictured here) isn’t at market, so we’re delighted that she’ll be back with us this weekend with her baking, perogies, and more! • Mix Small Batch Granola – YUM! ‘Nuff said. • Peregrine Farm – back with whole, halves, and pieces of frozen pasture-raised chicken. Learn about Jeff’s operation by checking out Know Your Farmer. • Something Sweet by Fadiah – Maker of some of the most gorgeous and delicious baked treats around, Fadiah rejoins us this week to help us gear up for Valentine’s Day! Pets, Pets, Pets... We know you love your fur babies! • The PupCake Bakery – Donna and Glenn offer a range of freshly baked pet treats, along with tons of fun pet-themed accessories for pets and their humans alike. Is the Polar Vortex leaving your pet feeling a little chilly? Ask them about their handmade sweaters! • The Good Dog – Healthy Homemade Food and Treats: our other pet-obsessed vendor, and this week’s featured vendor (pictured here)! 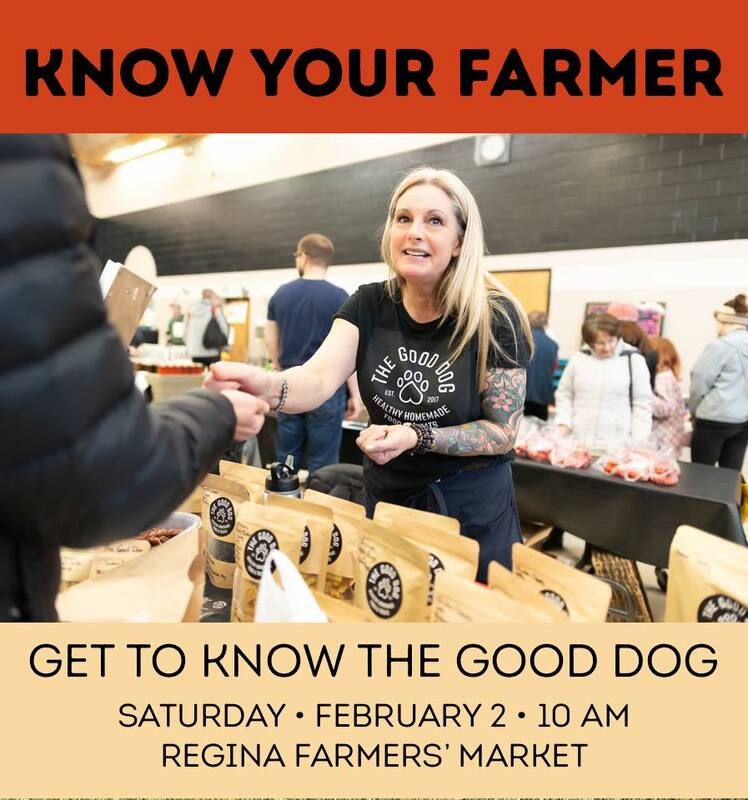 This week’s Know Your Farmer is taking a break from farming to learn more about The Good Dog and Jena and Robin’s healthy pet products and philosophy. 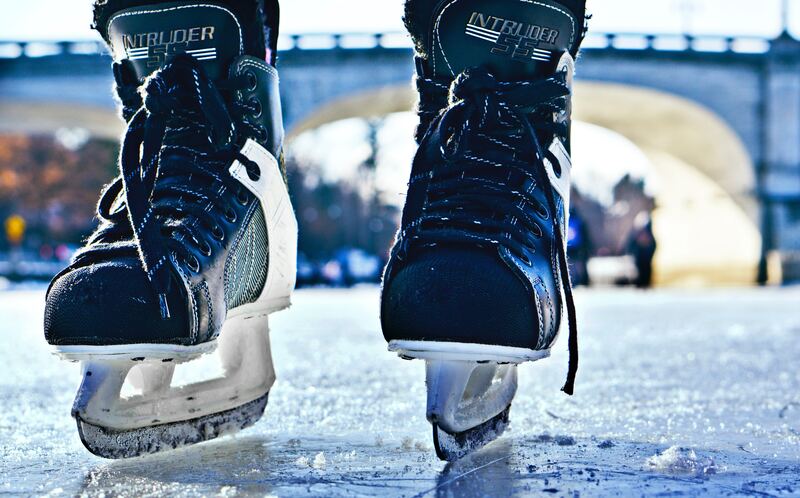 Did you know that there is an outdoor skating rink just steps away from our indoor market venue? 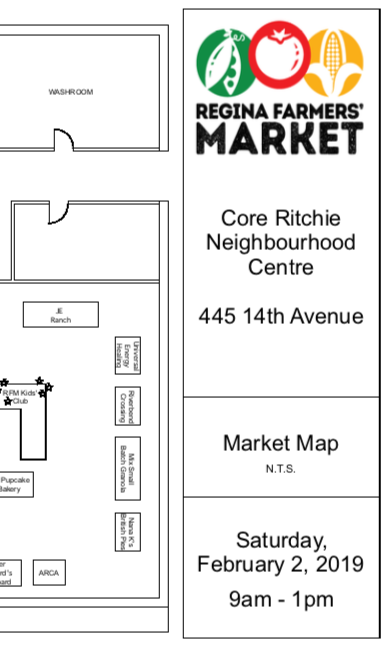 AND that the heated skate shack is now open during the farmers' market (Saturdays 9-12) thanks to our neighbours at the Al Ritchie Community Association (ARCA)? We know it's cold, but what better way to enjoy the Saskatchewan winter than by taking in a skate and the year-round farmers' market (in whatever order you like!)? AND that you can drop off donations of used skates (as well as gently used clothing, children's items, small household items, footwear, and more) at ARCA's farmers' market table each week? These items are passed along FREE to those in need through their 2nd Chance Clothing Shop. Visit their Facebook page or their farmers' market booth to learn more!